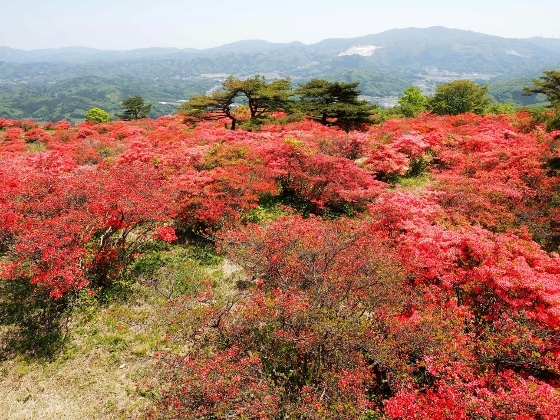 A photo above is of amazing wild azalea field as of today on the summit plain of Mt. 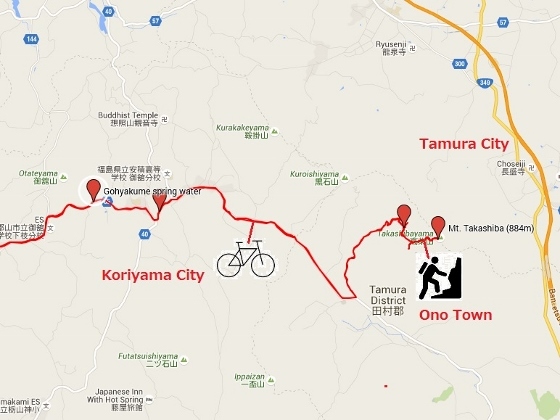 Takashiba (884m) at the border of Ono Town and Tamura City. It was almost in full bloom. 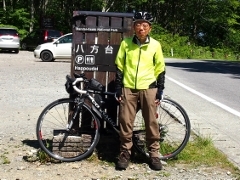 The summit can be reached in about 30 minutes from the trail entrance. 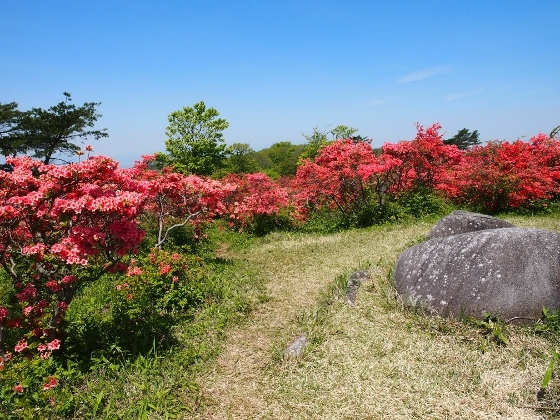 Along the trail from Ukigane entrance in Ono Town, wild azaleas appear as you approach near the summit as shown above. The board above describes the history of the azalea field. The area was a habitat of wild azalea from old days. About 100 years ago, the area was used as a pasture of farming horses. The horses ate grass but didn't eat toxic azalea. Today, local people take care of azalea field. 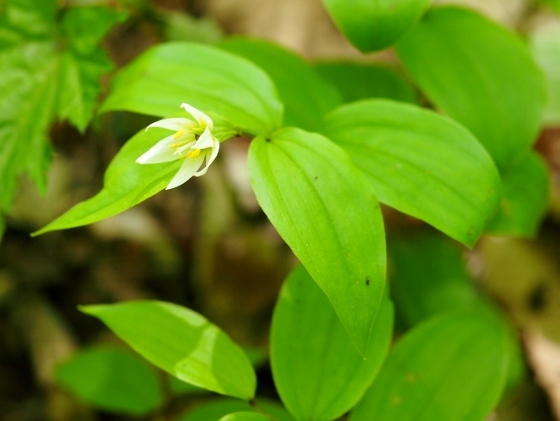 Along the trail I could see many Disporum flowers as shown above. 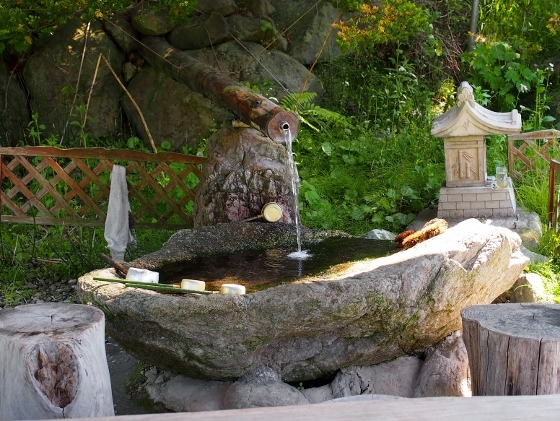 On the way to Ono Town, I found excellent spring water called Gohyakume Spring as shown above. Local people put wooden chairs and a table with a roof beside the spring, so I can rest for a while with good cold spring water. 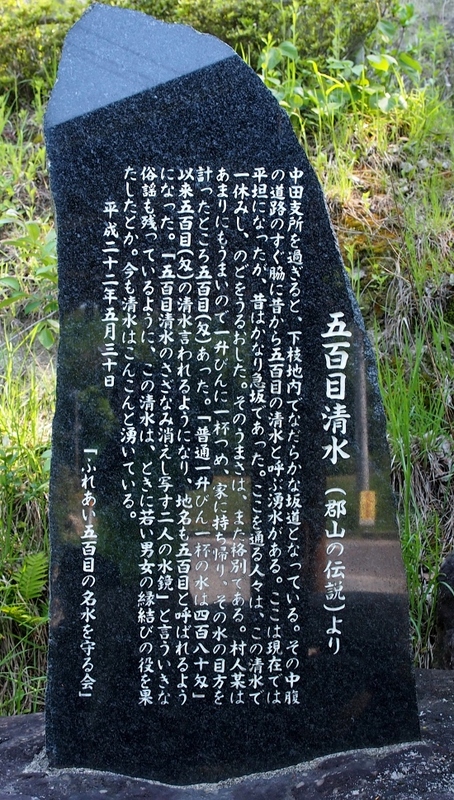 The stone monument above tells the history. 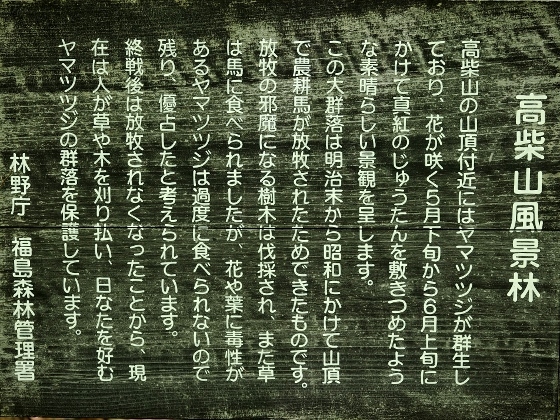 I also found a large sign board which says Yanagihashi Kabuki Play. 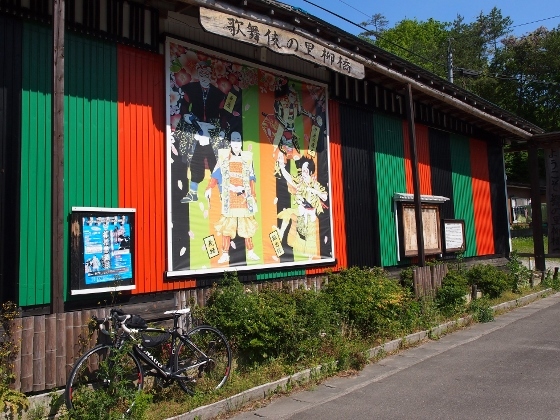 Yanagihashi district of Koriyama City has a tradition of local Kabuki play from 200 years ago, which is Edo period.